Fully restored water-driven corn mill and Grade II Listed building. One of the most complete mills in the country with 4 floors of original machinery. 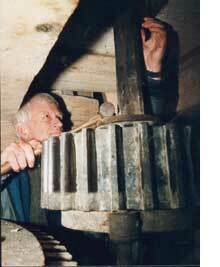 The mill has an 18ft diameter waterwheel, 3 pairs of millstones, grain cleaner, flour dresser and 2 elevators. There is also a collection of milling artefacts from other sites. The mill forms the centre piece of a secluded caravan park.